What do start-ups need to know about branding? Even with a client list that includes major retailers and recognised brand leaders, Pure has always been quick to champion start-ups. David Rogers shares his advice for entrepreneurial individuals looking to bring their dreams to fruition. I get ten calls a month from people looking to launch their own products including jams, chocolates, shampoos, pet products, candles and sauces to name a few. If you’re a start-up there’s a lot of work involved taking a product from idea to launch. One of the key aspects of the journey is branding. In food and drink alone around 16,000 new products are launched in the UK every year and with intense competition that puts even more emphasis on getting the branding right. 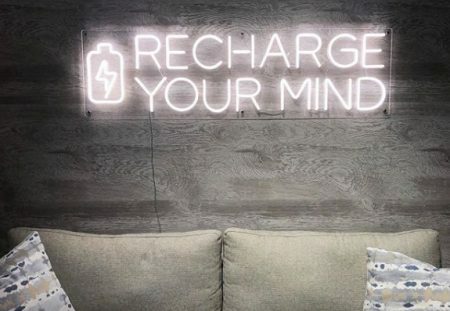 Start-ups face two challenges with branding — turning their dream into a reality on a tight budget and little or no experience of how to get from zero to an engaging brand. The minimum requirement is strong brand & packaging and a web presence. Why is that? 30 years ago consumers were introduced to brands in a linear way and product packaging was very much the final destination. Today, the fragmentation of traditional marketing channels, the rise of the Internet and social media, plus the shear abundance of products on offer has created an environment where, in nearly all cases, the product packaging is the first point of connection between consumers and brands. So in essence, the packaging has become the advertising. With consumers then offered the possibility to go online for deeper brand engagement. When you’re funding a venture how do you keep design costs down? When setting-up manufacturing or securing trademarks there are processes to go through. Think about brand development the same way. There are a couple of steps before the brand and design stage. These involve research and analysis, which you can handle yourself, ensuring the time spent by your agency focuses on the actual design. If you haven’t done your homework you will also encounter problems recognising what you want from your brand. Start by analysing your competitors. How are they positioning themselves? Create a mood board showing imagery of the competitive landscape to accompany a verbal and written briefing. This is not a prelude to a copying exercise. As a start-up you’ll fall into the category of a ‘challenger’ brand, which means finding ways to stand out from established brands in the market – not copying them. There are a few very large companies like Amazon that can’t narrow down their customer base because they offer products for everyone, but your product offer will have limits, you won’t appeal to everyone and all ages. The adage is, ‘if you try and appeal to everyone, you’ll end up appealing to no one’. Create a profile of the type of consumer that will buy your product(s) — gender and age range. Try and picture one person and then begin to understand what influences and drives their choices. Defining your target market will actually make for stronger branding. As an example of how important targeting is, look at the health & beauty market. Brands aimed at teen girls and young women, who have no concerns about ageing, are very flighty and flirty — not taking themselves too seriously. Brands that target older women, where ageing concerns are part of their psyche, are more serious and scientific. When you’re launching a brand you’ll probably hear the term USP (Unique Selling Proposition). The USP was introduced in the 1950s but within the advertising industry was superseded by positioning theory. Finding a USP is focused on the product. Positioning is much broader, looking at everything to find something to drive the branding – your product offer, a niche within the competitive landscape, even looking into consumer perceptions about the product category. Put simply, when you’re presenting to a potential buyer and competing for their shelf space, it’s ultimately about finding something that makes you standout and makes sense to consumers. Here are a couple of examples of how newly launched brands have positioned themselves. 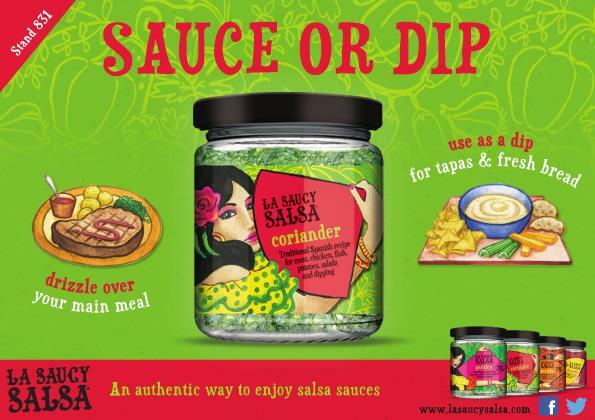 Whereas we think of Salsa products as dips for snack foods, in the case of new food brand La Saucy Salsa the product has been positioned as a ‘sauce or dip’, giving the consumer the choice to drizzle it over a main meal too. When sushi manufacturer Ichiban UK launched a new brand they named it after the company’s Japanese head chef Yumie, born and raised in Japan who creates traditional sushi recipes. 1. Think about why you decided to launch your product(s) in the first place. What’s the story behind its conception? Is there one interesting or intriguing element within that story you can focus on? 2. Imagine you’re explaining your product to a consumer. What makes it different to other products on the market? Is there one compelling reason why they should choose your product? 3. Look at it from the perspective of potential customers — not simply from a product perspective. What changing consumer needs and wants are driving the market? Recent examples include ‘organic’ and ‘ingredients provenance’. Does your product connect with a changing consumer need? Can you make it more personal? The last thing to consider is the current trend in branding. 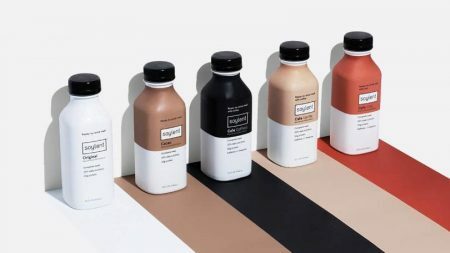 As mentioned previously, product packaging has become the first point of connection between consumers and brands leading to brand designers becoming more creative in order to engage from the shelf. Think about ways you can make your brand more engaging and include information and ideas in the briefing to your agency. Here’s an example of creating a connection with consumers through branding. The placement of the hands on these bags of Burt’s Crisps communicates ‘from me to you’ and that’s supported back of pack with the name of the master fryer that fried that batch. In reality you’re looking a very unexceptional metallised plastic film packet, but the design and link to a real person makes it all the more engaging. Overall, what should you consider if you’re launching your own products? It’s not enough to have a dream you need a brand vision too. And do your market homework. That way your agency can go straight to the design stage. As a start-up looking to minimise costs, it could save you a packet. David Rogers is the owner and Creative Director of Nottingham-based brand & packaging design agency Pure, which works with some major names in the UK including Wilkinson, Greencore and Ocado as well as many international/local brands, specifically in Russia. Posted in Marketing, Opinion and tagged brand identity, branding, startup. Bookmark the permalink.